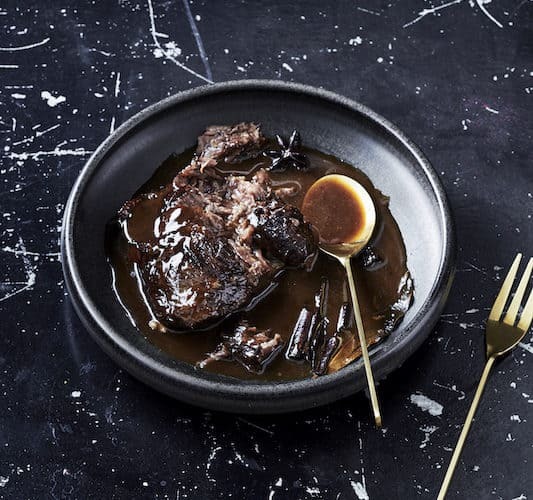 If I had to choose then beef cheeks would be my number one cut of meat – simply delish! Add the remaining ingredients, adding water if necessary (the cheeks should be 90 per cent covered with liquid). Pop the lid on and place in the oven. Reduce the oven temperature to 140°C and cook for 4 hours, or until the cheeks fall apart. Drain the liquid from the casserole dish into large frying pan and rapidly reduce over high heat. 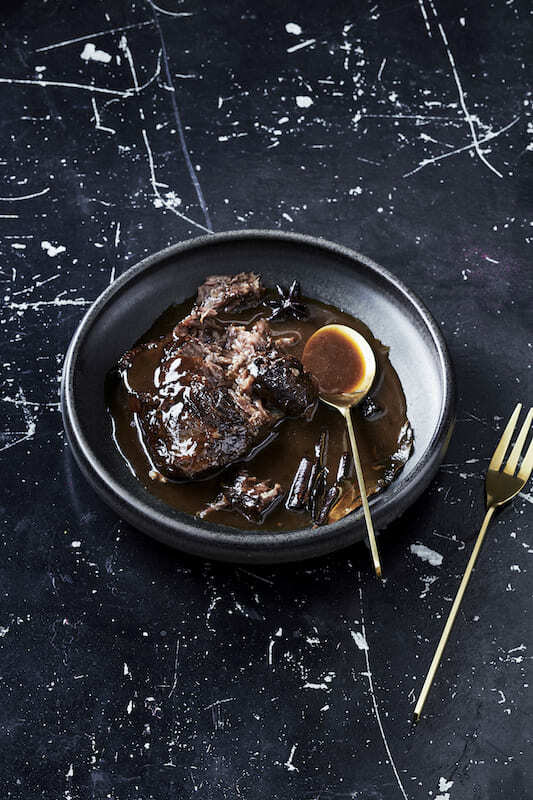 Once the sauce is reduced, remove from the heat, season with salt and pepper, and serve with the beef cheeks. Add some blanched Asian greens and enjoy!